I buy a bag of black beans in Tesco every week. They are the only beans I don’t buy in a can, mainly because there is no canned black beans in Tesco, and it is good to give our digestive systems a rest from canned goods and to cook your beans from scratch, every now and again. 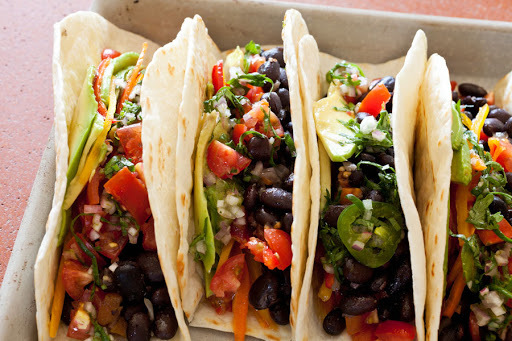 Black beans are so delicious and versatile. You can cook the whole bag and then divide them in different portions and freeze them and use in different recipes as pointed below. 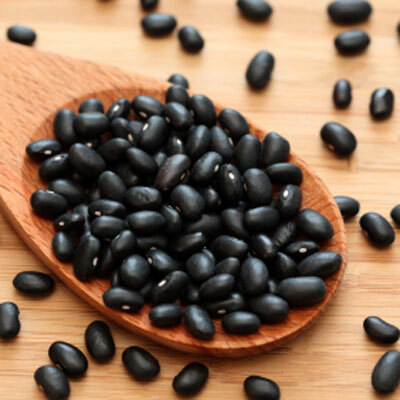 Place your beans (previously rinsed) in a big bowl and cover fully in filtered water and let them soak over night. This will minimise the cooking time the next day by half! So, it is really worth doing! My mom back home always throws out the water she soaks them in. But after doing my research, this water has most of the beans nutrients, so it’s much better to cook them in the same water. Before you cook them, you can if you want, sauté some onion, peppers, leeks, carrots to add more flavour. Add the beans with the water into your saucepan and bring it to the boil. Add stock and then simmer for 2 hours or until the beans are soft. 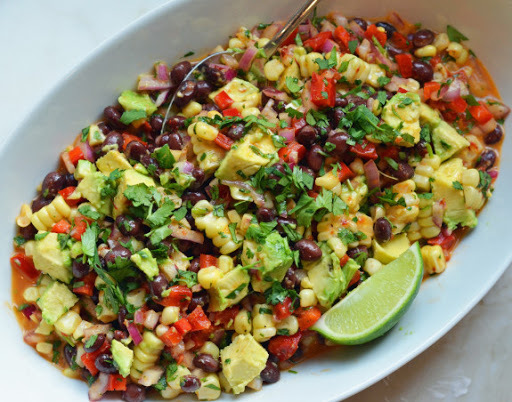 Mix some black beans with avocado, corn, tomato, onion, couscous or quinoa. You can eat cold or hot. It is delicious, light and very healthy! These sweet potato boats are incredible tasty. 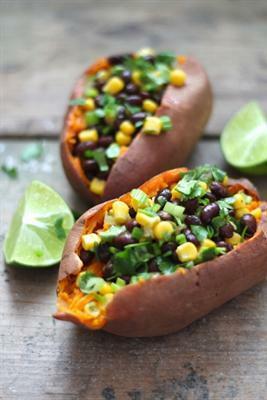 Black beans and sweet potato are a great combo. To make this, bake the potatoes in the oven for 30 minutes at 200 degrees and fill them in with the beans, corn and some herbs. I hope you can get inspired to cook your own beans from scratch! They’re so handy to keep in the freezer and take out for days you don’t want to cook, but still want to eat healthy. Love this post! Some lovely ideas!! Woa! Delicious foods. I love it. so yummy & delicious foods, & healthy too. There are suspension training varieties of fitness items available or coming up in the market which can be used for your use. The important point about the work is that it has been ideal enough and suspension trainer in the long term basis allows you to shed extra kilos at ease. There are the design and new range of fitness equipment which are now available in the market. The specialty of the new range of trx training fitness product is that it allows you to be fit and most important go pass all hurdle to ensure body fitness.